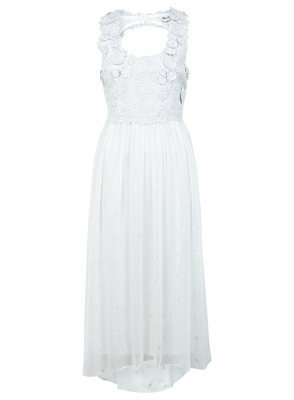 Miss Selfridge Designed By: White Collection. Bring a breath of fresh air into your warm-weather season wardrobes with the new Miss Selfridge Designed By: White Collection! Well, the line features delicate diaphanous layers, scoop-back dresses and beautiful petal patterning combine for you to add a romantic flare to your styling. So, are you ready to set your summer alight choosing from the gorgeous range of white goodies brought by the famous brand? From a carefully selected story of alabaster beauties to the label's inimitable Designed by collection from their in-house design team, this season white has the authority! 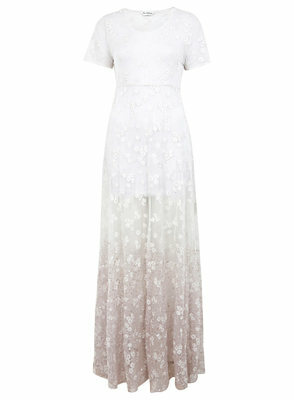 “Designed by is a luxe range of limited edition white pieces setting an ethereal mood for summer. Each item is made with premium fabrics and fine attention to detail. Flowing silhouettes offset sharp leather shaping for a whimsical finish,” said Clare Prince, Miss Selfridge's Head of Design. 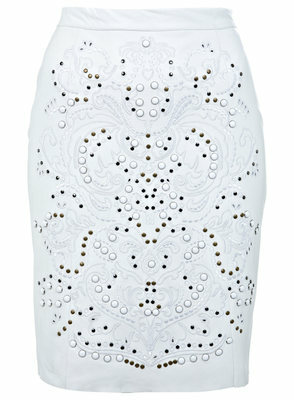 What can we find in the Miss Selfridge Designed By: White Collection? 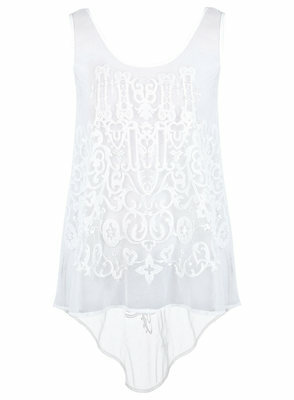 Well, lots of pieces proving that all-white combos can have a great sartorial impact! 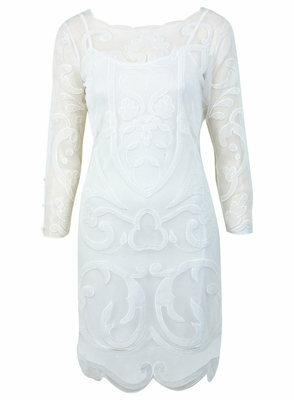 So, are you prepped to detox your wardrobe and give it a delicate, chic and refined touch? 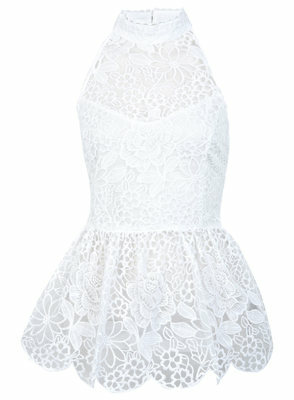 Think lace dresses, peplum tops and skirts as well as the appropriate accessories, all in pure white. 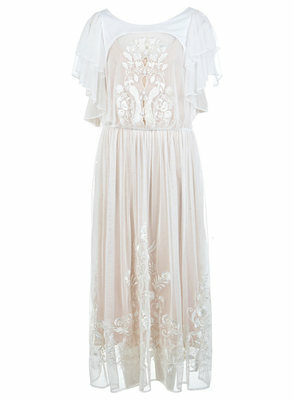 Yes, Miss Selfridge offers you the perfect antidote to all-things-colorful and bright! Check it out! 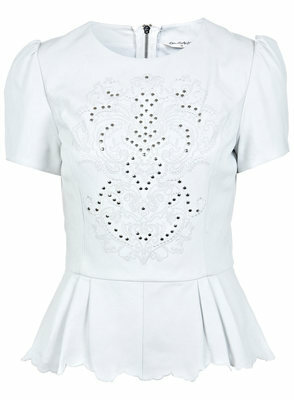 So, if you're up for something pretty yet sophisticated, have a peek at the latest Miss Selfridge Designed By: White Collection! With prices ranging from £60 - £165, the brand's line has you covered with an amazing offer! 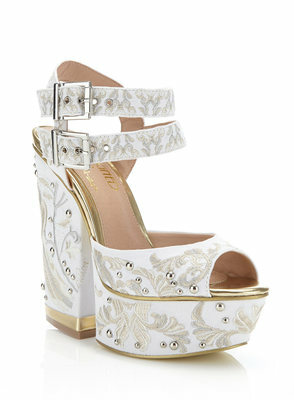 Oh, but have you pretty dolls seen those beautiful embroidered and studded peep toe high heels and that pair of peacock embroidered split wedge shoes? Absolutely fab!